If you are an urban Indian with a family and a taste for beautiful things, you’ll love the PANASONIC Refrigerator as it blends perfectly with your lifestyle. At 190 liters, it’s just the perfect size – not so big for a small apartment, not so small that you have to play vegetable tetris every time you want to put something in. The space inside has been utilized cleverly, and despite being a single door model, the PANASONIC refrigerator boasts of separate storage areas for your veggies, large bottles, utensils, milk and eggs. It also has multiple temperature settings to suit your convenience. Turn the dial to maximum setting to keep fruits and vegetables fresh and crisp, even during the height of the sweltering summer months. The fridge has an anti-fungal gasket that prevents germ and fungi build-up. With the door lock feature, you can ensure the fridge stays away from the prying hands of children, keeping desserts safe for everyone. 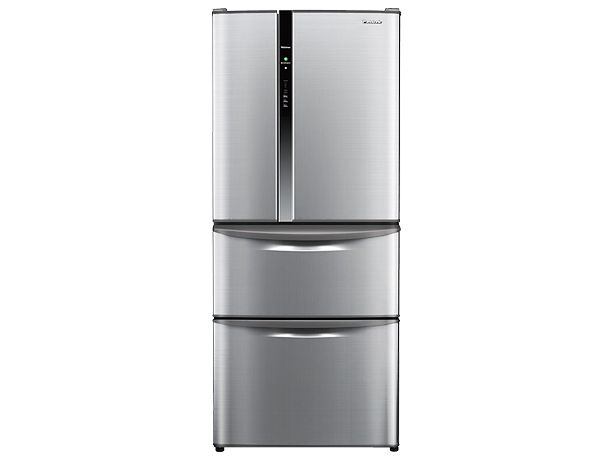 Like many other PANASONIC refrigerator models, this one too has the highest Bureau of Energy Efficiency (BEE) rating of 5 stars, leading to greater energy efficiency and reduced electricity costs. On an average, you can save close to Rs.1500 annually compared to a 0 star refrigerator. You can recover a significant portion of the refrigerator’s price from savings alone in a few years. To know more about Panasonic and its products, warranty, service centers, please visit the official website of the company.